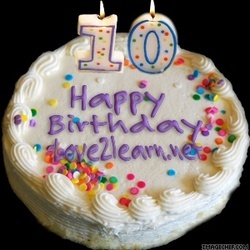 Go celebrate with Alicia as Love2learn.net celebrates 10 years of helpfulness AND the launching of its new website. It seems funny to review a review site, but this one is truly a blessing worth mentioning. A top-notch crew of experienced Catholic homeschoolers help Alicia review resources regularly. The new site is very user-friendly. Reviews are archived alphabetically, and by calendar,by subject, and by educational philosophy. But wait! There's more! The search engine works beautifully. The section on high school at home is particularly appreciated by this reviewer. The new site is clear, crisp, and incredibly easy to navigate. To celebrate, Alicia is hosting book giveaways all month at the Love2Learn blog. Do stop by, congratulate (and thank) her and maybe win a book. See you there!